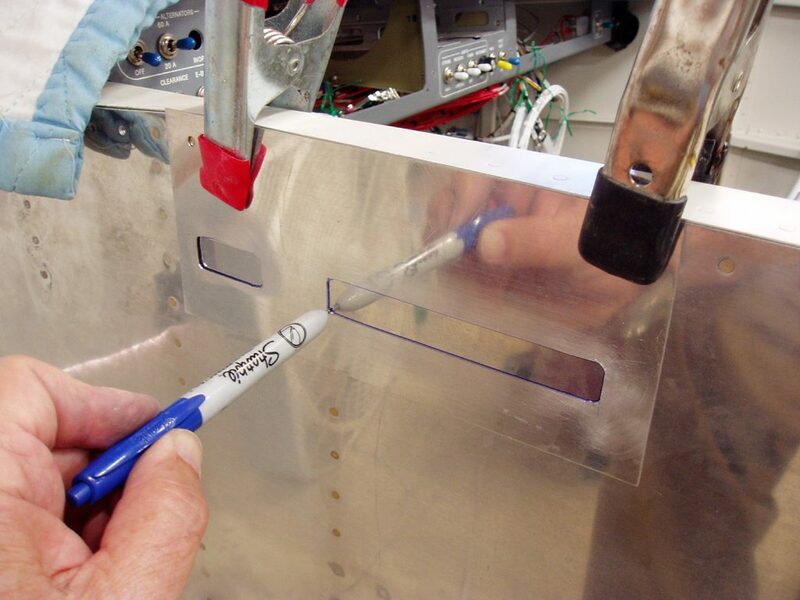 The standard Vans RV Canopy Latch Handle protrudes from the fuselage out into the air stream. 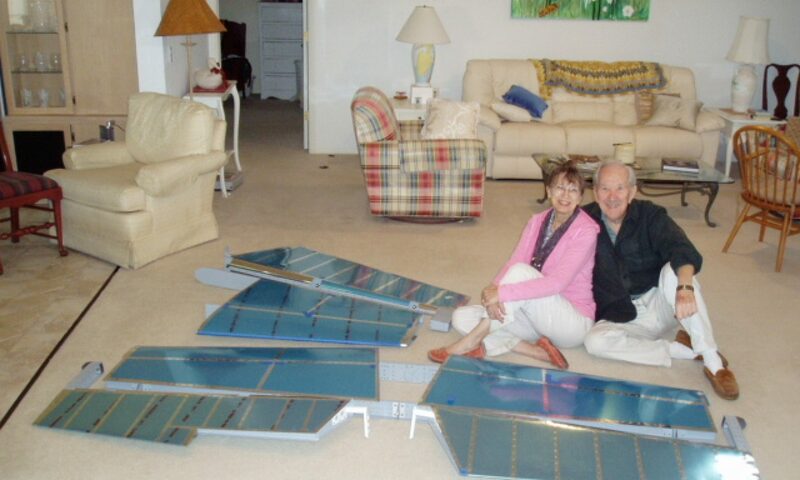 I purchased a JDAir system that is flush to the fuselage, sitting in rectangular slots cut in the skin. The mechanism consists of a latch that is pushed in to release a handle that pops out of the skin. 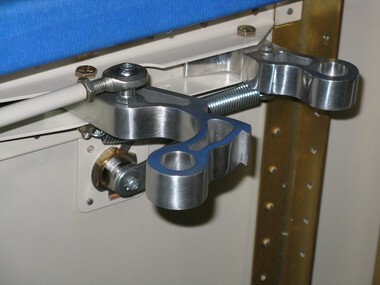 The handle can then be pulled to open the canopy. The handles are fitted and bolted to doublers that will later be riveted to the skin. Then, a metal template is cut and fitted to the handles. The template shown above best positions the slot pattern that is transferred to the skin. The slots are cut, and the latch mechanism is bolted to the doublers and riveted to the skin. 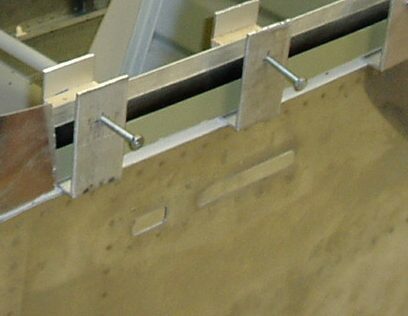 The above photo shows the completed flush latch handles at a later stage of the build. 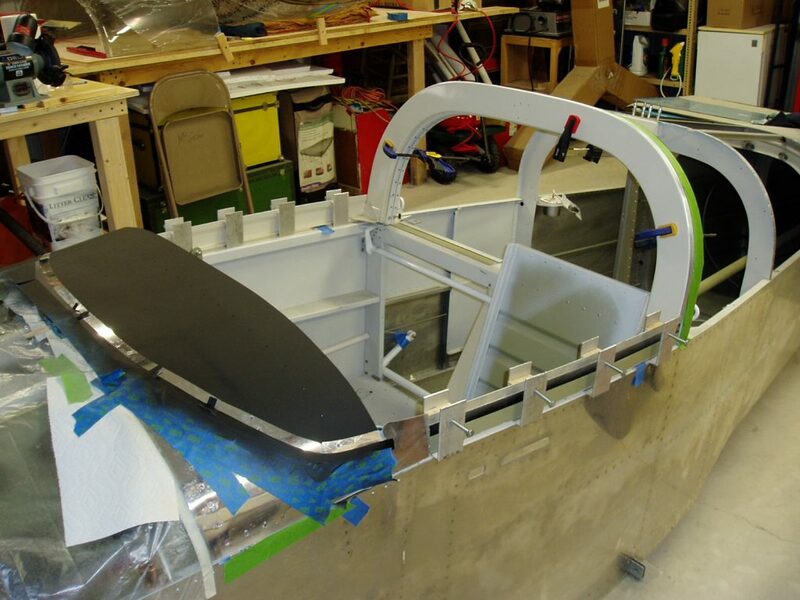 This last photo, taken from the JDAir website, shows the cockpit side of the handles.